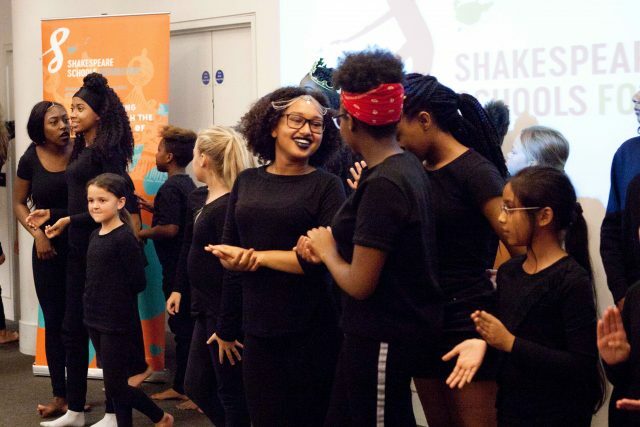 We were delighted to launch the 2017 Shakespeare Schools Festival with Waterstones, Piccadilly, this September - kicking off another extraordinary autumn which will see 30,000 children from 1,008 schools perform in 136 theatres over 292 theatre nights. 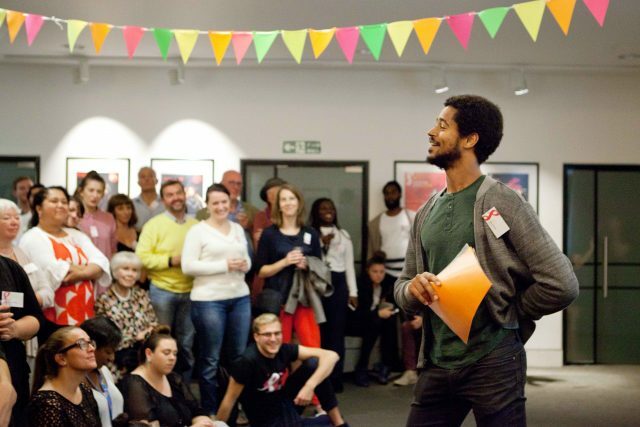 Supporters, partners and friends were treated to a special introduction from our newest patron, Alfred Enoch followed by inspired performances from young people taking part in the Festival this year. Ten secondary school pupils from Ark Academy opened the evening’s performances with an ambitious physical theatre interpretation of the opening scenes of Macbeth. This was followed by a confident and striking ensemble performance from Julius Caesar from twenty pupils attending Malmesbury Primary School. These performances were just a taster of what they are set to achieve in the Festival this autumn. We thoroughly look forward to seeing them take to their local professional stage in a couple of months time! The evening was concluded with words from CEO, Ruth Brock, whose speech you can read below. 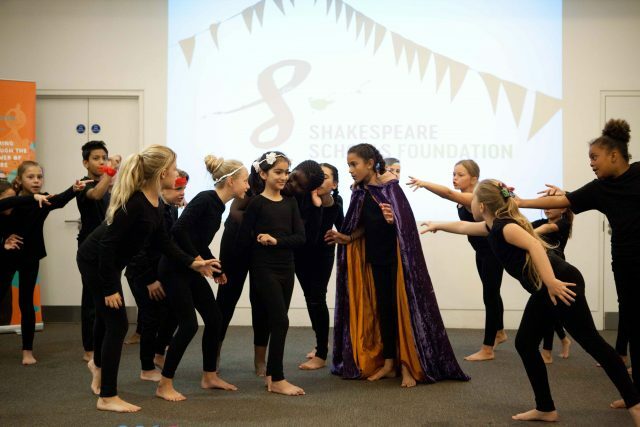 A huge thanks to all those who attended, supported and celebrated the launch of our 17th Shakespeare Schools Festival. It was a very special evening. Be sure not to miss out on our next event, the Festival! With 292 performance nights happening across the UK, make sure you don’t miss out on a ticket. 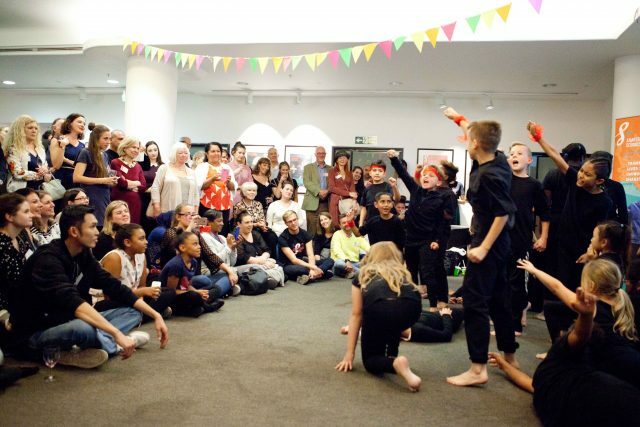 Visit our What’s On page to find your local schools and theatres taking part this year. We’re so delighted that you’ve joined us for the opening of this, our 17th Festival. Malmesbury Primary and ARK Academy have given us a taster of the brilliant things to come and we’re so grateful to them, their teachers and parents for being here tonight. This is our Revolution season - we want to show how Shakespeare and the legacy of his work aren’t in the ownership of the Establishment - they’re the birthright of every child in this country - because every child loves stories, has the capacity to be creative and deserves to defy their own expectations. The Festival is as an expression of that; the doing of the very daunting. That goes for every child and school who sign up to their journey with us and it’s also manifest in what we, the organisation, set out to achieve. 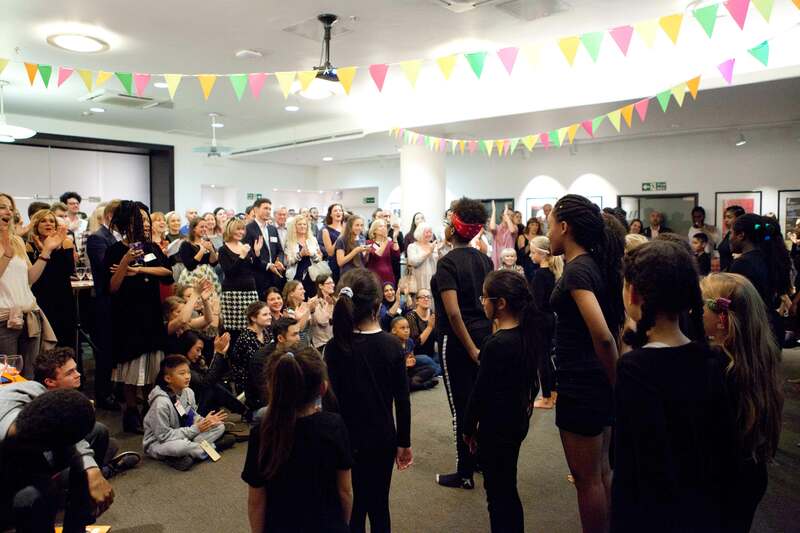 So in delivering the Festival - 30,000 participants from 1,008 schools performing in 136 theatres over 292 nights we’re doing just that - creating a groundswell of Shakespearean activity, propagated and celebrated at community level. More than that, this summer we’ve run two projects for young people who need our work the most; we’ve worked with every teacher and child in a school for autistic young people, and innovative work in a speech and language unit in Ipswich is having quite extraordinary results and I hope you’ll talk to my team about them. It’s very easy to identify with that that unsettled spirit. We - and the young people of this country - are living in a world in which whether online, at home, or on the streets there are great pressures and uncertainties which require our children to be resilient and adaptable, excellent collaborators and top communicators. SSF wants to equip and embolden the next generation - not just to face but to prosper in whatever is to come - it’s what our charity exists for. There’s “method in the madness” - using a 400 year old poet to help children face the challenge of 2017 might seem counterintuitive, but in fact makes perfect sense. 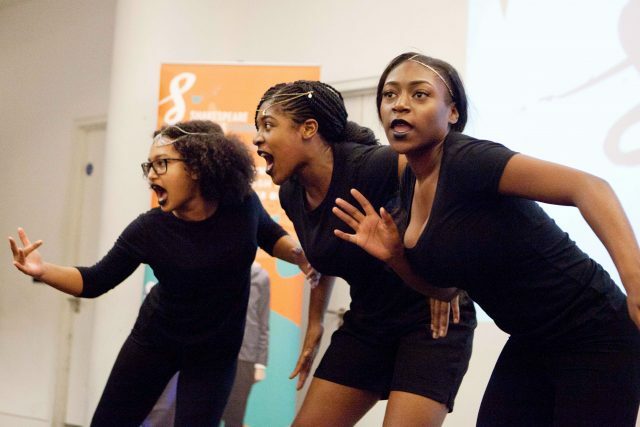 Because there is nothing that our society faces today that Shakespeare doesn’t grapple with - from war, conspiracy and racism to best friends and falling in love - this greatest of all poets can give young people a platform for the future, and working with his plays can offer quite remarkable solutions for the challenges they - and we - face. This doesn’t happen easily. We have to raise a million pounds a year to make the Festival happen. We are deeply grateful to our advocates and supporters here tonight - from Adele and the Social Business Trust to our newest Patrons Alfred Enoch, Lindsay Johns and Olivia Vinall. I hope and believe that what you’ve seen here tonight, and what my incredibly hard working team can tell you about SSF’s work has made our case. 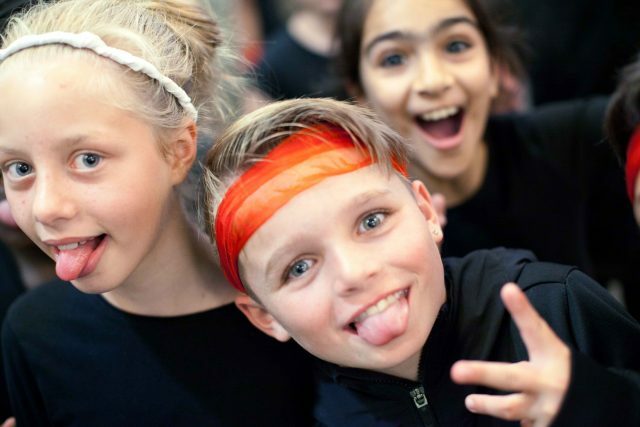 Join our revolution - we know that working with SSF can change lives and that your contribution tonight can help a child to build their confidence and horizons, make friends and step forward onto whatever stage life holds for them. Next year we want to reach another 1000 schools, particularly in deprived areas, expand our work in Pupil Referral Units and run more immersive projects, as well as developing our work in Knowsley where we’re very proud to be an associate company of the new Shakespeare North playhouse. We’ll hope to welcome you to more exciting events along the way. We’ve launched our regular giving scheme and tonight we want 100 of our generous supporters to become regular donors, allowing us to change more lives. I very much hope you can be one of them.